Chhandam School of Kathak has been a pioneer for 38 years in providing the community and the world with the nest of Indian classical art, tradition, and culture. Succeeding founder Pandit Chitresh Das’ passing, Chhandam’s leadership is under senior disciples, Seibi Lee, Rachna Nivas, and Rina Mehta, along with guest artistic faculty from around the globe. Chhandam’s mission is to support the development and presentation of artistic performances by standard bearers of Das’s lineage, to maintain and further the pedagogy established by Pandit Das, and serve as a custodian of the Chitresh Das Dance Company archive. Chhandam Nritya Bharati shines today as one of the finest kathak institutions in India. It was originally established in Calcutta in 1948 by Nritya Acharya Prahalad Das and Smt. Nilima Das, parents of kathak master, Chitresh Das. It was the first classical dance school to receive government recognition. In 2002, Das resurrected the school in Calcutta and in 2010, his disciple Seema Mehta opened a branch of the school in Mumbai. CNB-Mumbai offers a holistic programme, which incorporates hindustani vocal training as well as guidance from masters in the classical dance and music disciplines. The school regularly presents leading artists both through intimate baithaks and in larger auditoriums. Since its establishment, CNB-Mumbai has developed a group of dancers who have performed in some of India’s leading festivals and performing art venues. CNB’s teachers are dedicated to training and creating professional opportunities for students who come from all backgrounds. The Chhandam Institute of Kathak Dance (Chhandika) is a 501(c)(3) non-profit organization dedicated to kathak dance and to the legacy of Pandit Chitresh Das. 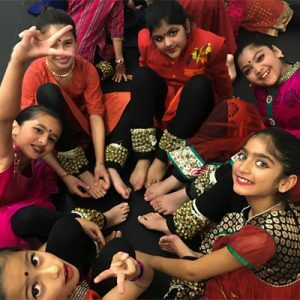 Based in Massachusetts, Chhandika provides a stimulating, supportive and multi-cultural environment in which to explore the physical, intellectual and spiritual benefits of kathak dance as a student, aspiring artist, or professional practitioner. Chhandika is currently under the directorship of Das’ senior-most disciple, Gretchen Hayden. Chhandika (founded 2001) is dedicated to maintaining and contributing to the rich tradition of kathak, a classical storytelling art from North India. Chhandika offers classes for men, women, and children of all ages; enriches the community through performances and demonstrations; and fosters personal growth and cultural exploration through its workshop and outreach activities. Sureela was founded in 2016 by Dr. Sarah Morelli and her students Carrie McCune and Cailey Salagovic to serve the Colorado Front Range community. Sureela works to provide excellent training in kathak with a holistic, embodied approach to understanding the dance and its related musical and cultural context. This approach is based in kathak master Pandit Chitresh Das’s training methodology and a reflection of Sarah’s broader education, including intensive training in dance, voice and sarod with Pandit Chitresh Das and Ustad Ali Akbar Khan, as well as a Ph.D. in ethnomusicology from Harvard University. Sureela students enjoy opportunities to study and perform alongside members of the University of Denver’s North Indian Classical Ensemble, which Sarah has led since joining the university faculty in 2006. The most committed dancers are also active in the Sureela Ensemble, which gives performances and lecture-demonstrations on kathak for local schools, festivals, and special events.